I think Nate should be the next mascot, or someone (or something) more interesting, no offense Chester! 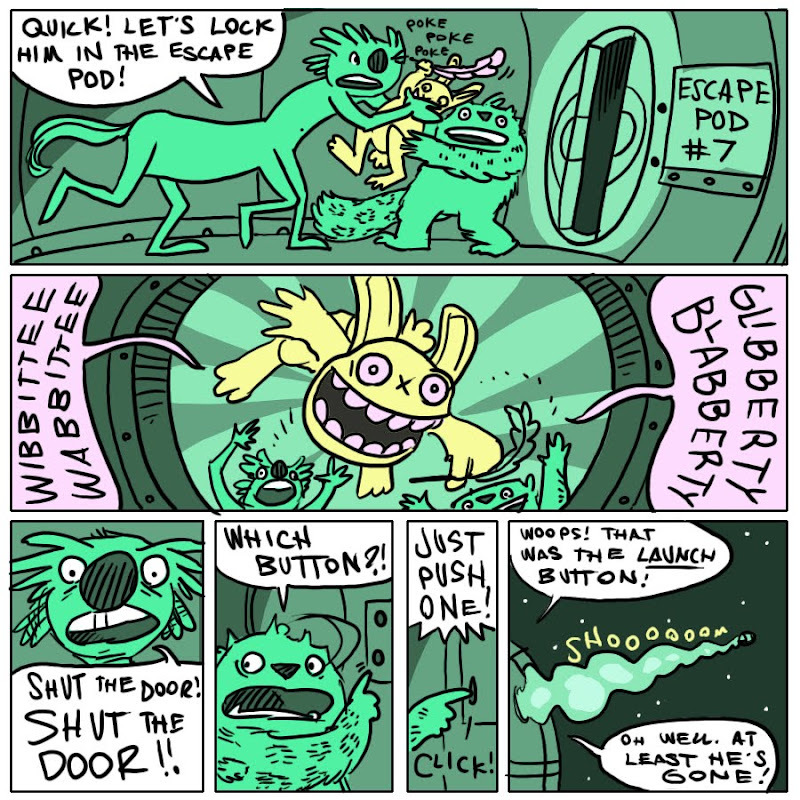 Can you get rid of something as scary as that bunny just by launching it in an escape pod? What have you DONE?! I think Yellowbelly just unleashed a writing-crazed bunny onto Earth. Uh oh. Whoa-- If they're in SPACE, then how'd the bunny get there in the first place? Uh-oh, I think the Station is rabit infested!